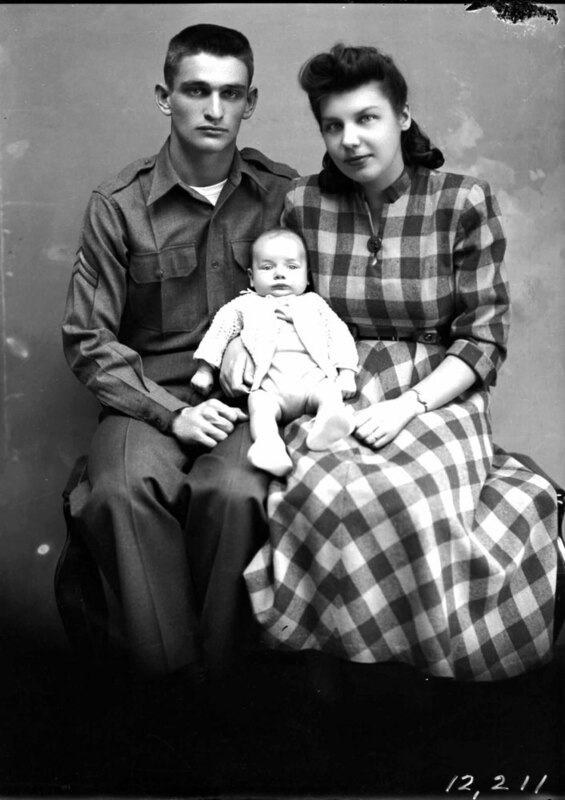 This photograph, taken by local photographer Hugh Morrison of Woodstock, shows Eugene Carson Ritenour, US Army, and his family. Eugene Carson Ritenour was born in Woodstock on May 7, 1927. After graduating from Woodstock High School, he joined the US Army. He spent seven years in the Military Police. During his final years of service he was a judo instructor. Ritenour served in Korea during 1951 and 1952. During his time there he was regularly assigned to the front lines and eventually obtained the rank of Master Sergeant. He left the army in 1952. In 1956 he moved with his family to Sacramento California. He died there on January 15 2013.